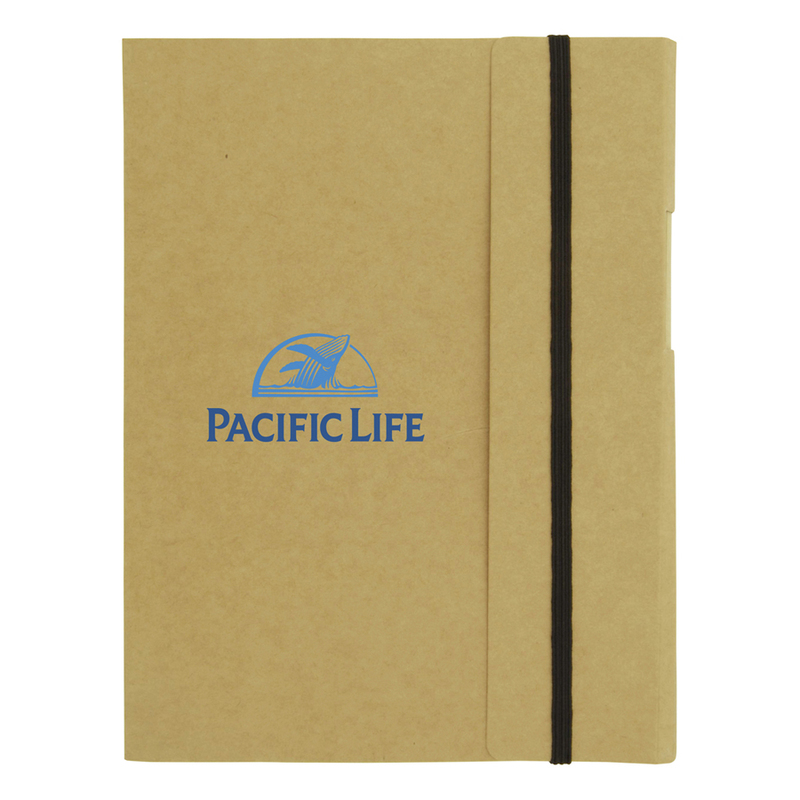 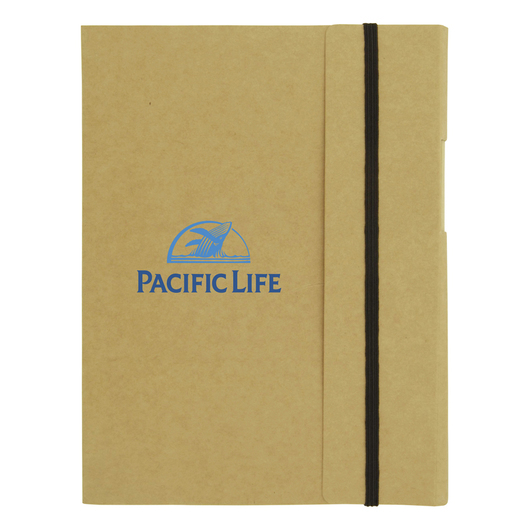 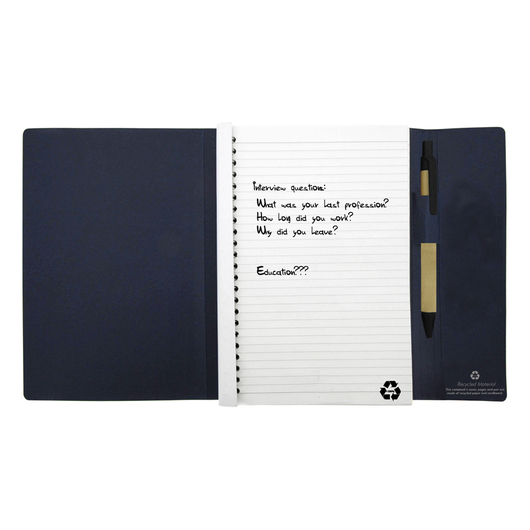 The large size environmentally friendly notebook that is guaranteed to effectively market your brand. The ultimate notebook for business's and organisations who want to promote their logo and encourage environmentally friendly alternatives. Nearly everything in this notebook is made from recycled material! 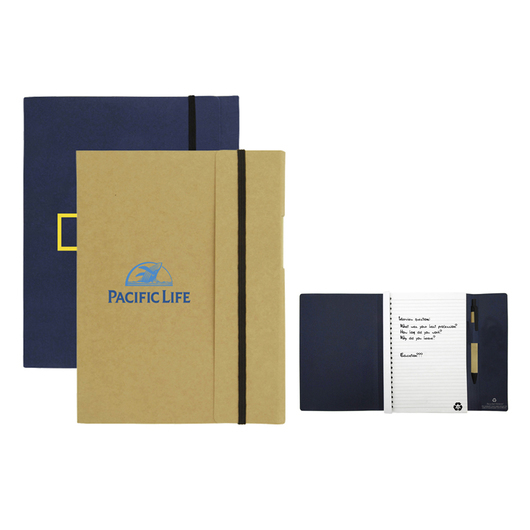 It hosts a large flexible paper cover made from recycled paper as well as 85 pages of recycled lined paper. 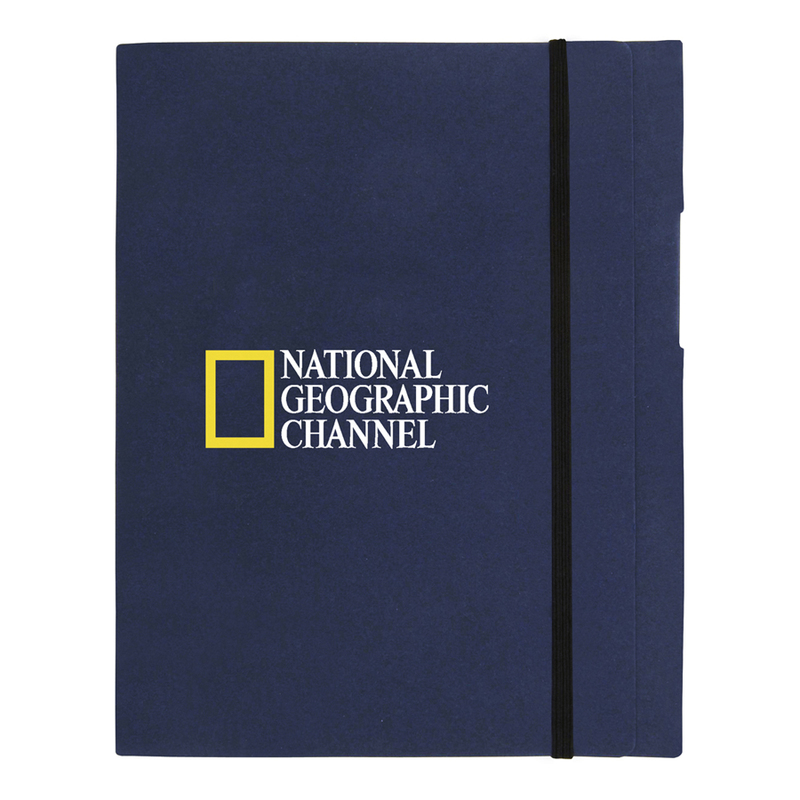 Other features include: a blank black ink pen made from recycled paper and an elastic band to help keep the notebook closed.